While walking through the terrifying drum hall at NAMM, I stopped in my tracks as soon as I saw the Remo Rhythm Lid Display. These products are not new for 2017, but I had never seen them before and I am blown away that nobody came up with this idea years ago. Surely you have seen YouTube or Facebook videos of people using plastic buckets as drums, and often very well. 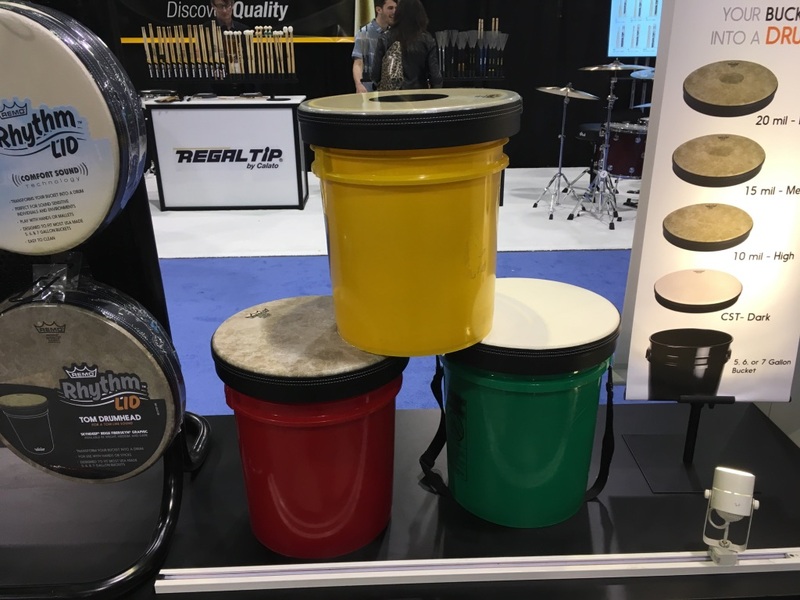 Apparently it was only a matter of time until someone made affordable drum heads that fit easily onto the plastic buckets that everybody has kicking around their yard or garage That somebody would be Remo. 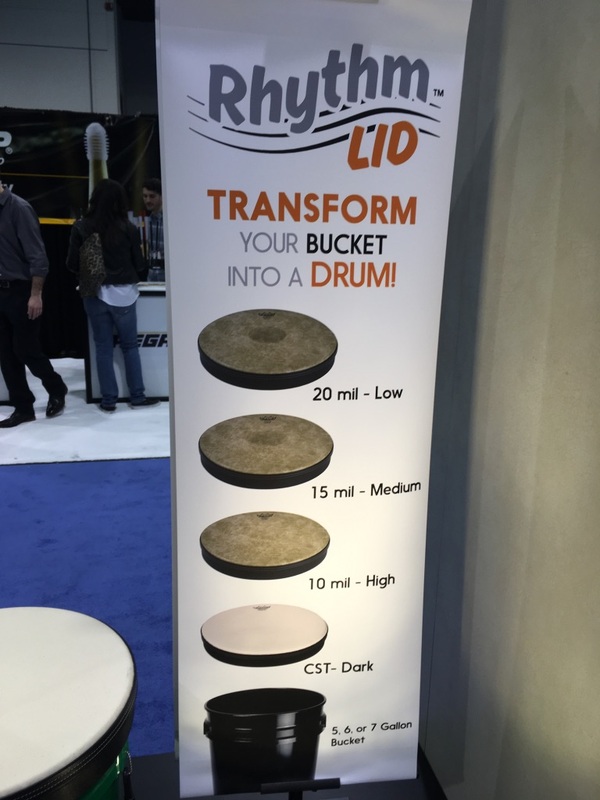 These 13 by 2–inch units are pre-tuned (no keys or hardware to lose) and fitted to Acousticon drumshells. They should fit most of 5, 6, and 7 gallon buckets like the ones you can buy at Home Depot or Lowes; they press on to the bucket with a slight downward pressure that “creates a ‘Press Fit’ seal that produces the quality tonal frequency.”Mmm hmm. They Rhythm Lids do fit well, and when hit with sticks, mallets, or hands, they have a lovely warmth and resonance to them. There are four different heads available, as well as a snare attachment, so there are quite a few different sounds available. They might not be for everybody, but street drummers and parents that are looking for something to occupy their kids (for not a lot of cash) will find this to be a pretty cool option. 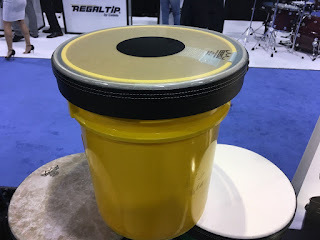 Best of all, the Remo Rhythm Lids are not very expensive. A quick check of a leading online retailer shows that these are selling for $36 to $63, with the snare models being at the top end of the price range. 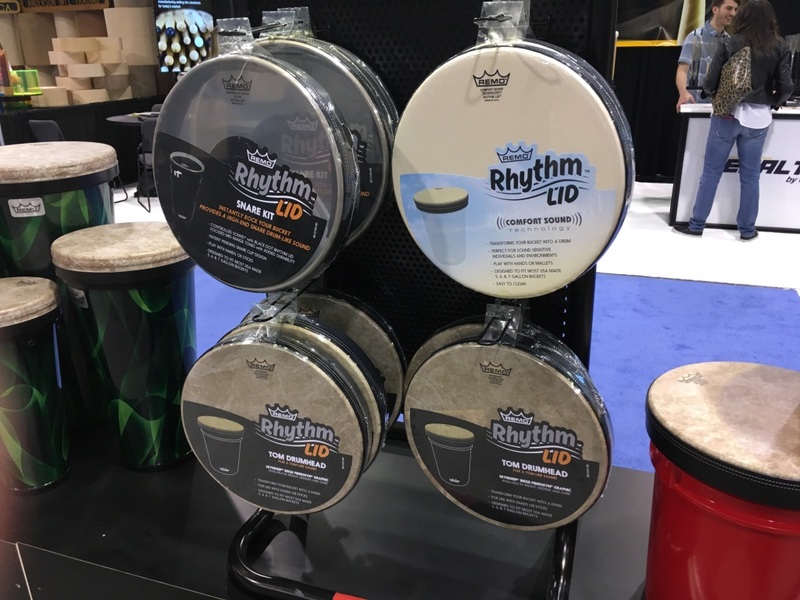 And, if you are unable to find your own bucket, you can buy the Rhythm Pal which comes with a Rhythm Lid AND a nifty black bucket. How could you go wrong?